[Featured] Miss Astro Chinese International Pageant 2014 《Astro国际华裔小姐竞选2014》 Online Recruitment! From 1 September 2014 – 14 September 2014! Kuala Lumpur, September 2014 – All ladies, do you have a dream in becoming the next Miss Astro Chinese? It’s time to take the first step to show your beauty and wisdom to the whole Malaysia. 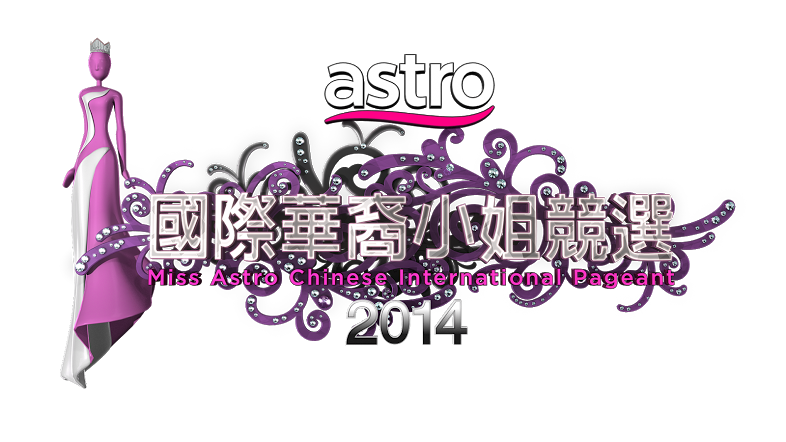 Miss Astro Chinese International Pageant 2014 is one of the most anticipated Chinese beauty pageant in Malaysia. From 1st September 2014 – 14th September 2014, there will be an online recruitment for the first time ever, inviting all the pretty Chinese ladies in Malaysia ranging from 18 years old to 25 years old to take part. This is a golden opportunity for you to shine at international level pageant! Organized by Astro 本地圈, Adonis as the main sponsor of《Astro国际华裔小姐竞选2014》 once again cooperated to seek Malaysian Chinese who possesses both inner and outer beauty. They will be giving away luxurious prizes to the winners of the beauty pageant. The champion of the pageant can win away prizes worth RM 200,000, including a luxurious car and a contract as the artiste under Astro. In addition, the champion will also be representing Malaysia to take part in the next Miss Chinese International Pageant, 《国际中华小姐竞选》，having an opportunity to make Malaysia proud internationally. The《Astro国际华裔小姐竞选2014》this year has changed the audition format into online enrollment. This can allow contestants to take part without any restriction due to time & geographical factors. They can participate through macip.astro.com.my. Participants need to fill up their personal details, attach 4 close-up photos, record & upload a self-introductory & talent showing video which is not more than 90 seconds to《Astro国际华裔小姐竞选2014》official website. Everyone can only submit one entry, the dateline is on 14th September 2014. Those who are successfully chosen by the expert judges will be having a private face-to-face audition during the mid-September. They will then compete to get into top 15 finalists of 《Astro国际华裔小姐竞选2014》 followed by a series of mission, challenges and training courses. Worth-mentioning is, the organizer has invited the champions of Miss Astro Chinese International Pageant of the past three years Lenna林家冰、Denise陈楚寰 and Zhiny黄之豫as the producers of the program. They will be molding the new generation beauty queen and will be the tutors for the candidates this year. They will be leading the contestants through all of their challenges. For those of you are who are confident with your inner and outer beauty, do grab the chance to shine on stage! As long as you fulfilled the criteria below, log on to 《Astro国际华裔小姐竞选2014》official website from 1st September 2014 – 14th September 2014 to register yourself! · Participant must be Malaysian Chinese who are at least 18 years old by 1st September 2014 & at most 26 years old by 28th February 2015. · Participant must know how to speak Mandarin & Cantonese. a. 4 close-up photos， including 1 without make-up, 1 with light makeup, 1 with full makeup and 1 full body photo. b. A self-introductory and talent showing video not exceeding 90s; in MOV, AVI or MP4 format.